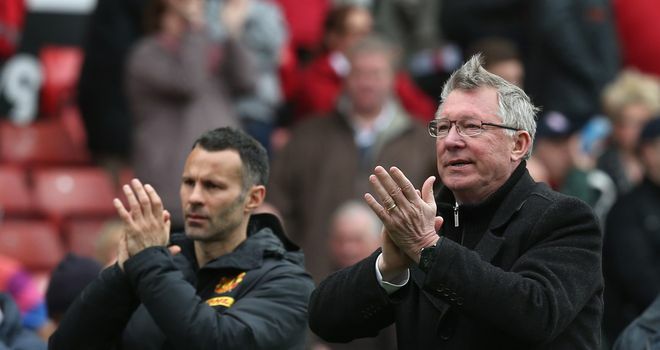 Manchester United legend Ryan Giggs has revealed special details about his former manager Sir Alex Ferguson in his playing days at Old Trafford. The Welshman spoke highly of the control Ferguson had during his time as coach of the Red Devils. Giggs said no manager will have as much influence as Ferguson did. Other managers could have done a lot of things to their players but the lifelong United player said nothing other managers did can be compared to Ferguson’s. “Fergie was scary and even now he still scares me. I still call him boss because he just has that aura about him. He had that little cough and as soon as you heard that, walking down the corridor at the training ground, you’d dive in a doorway to get out of his way,” Giggs said, describing the situation then. “I was always wary of him because he had that ability to turn up at your house – and he sometimes did. But he did it all for you and he had so many other great qualities,” Giggs added. Giggs also shared how dangerous it was to argue with the former top boss as someone who had the final say in matters. “There was no point trying to argue with him. I did argue back twice, but it didn’t go well,” Giggs said. Giggs named Cristiano Ronaldo as the best he played with, despite meeting a number of top stars like Eric Cantona, Roy Keane, Paul Scholes and the rest. Giggs also made mention of Cantona’s free rein at Old Trafford under Fergsuon. Jose Mourinho’s 3 opening matches as the head coach of Manchester United were impressive ones for the Portugal head coach and his squad as they sealed 3 successive victories after defeating Bournemouth, Southampton and Hull City. However, things quickly took a turn for the worst as Manchester United began to drop points on a consistent basis after losing against Manchester City and 8 days later suffering another defeat against Watford. The drop of points continued later on for Jose Mourinho and his team as they drew against Stoke City, Liverpool and Burnley as well as also suffering another defeat with Chelsea. After this string of negative and underwhelming results, this has led to Manchester United to slipping down in the Premier League and with 10 league matches having been played at this point in time; they are currently located at the 8th spot. Gary Neville says that he knows what Jose Mourinho needs in order to stop this streak of mediocrity as the former Manchester United player said: “I think at the moment he’s the one that’s getting put under pressure, but nothing that two or three wins won’t change. Neville believes that Jose Mourinho still has not gained enough trust and confidence with his squad at Old Trafford and this is one of the reasons of why Gary Neville thinks that Manchester United has been disappointing so much in the past few weeks. It is increasingly appearing that a mole is working behind the Manchester United’s manager back at the moment. Indeed there has been some information released to the media that could not have been done by an outside source. Former Manchester United defender Gary Neville has urged Jose Mourinho to get rid of the mole if he wants to remain as manager of the team. There has been heavy criticism in recent times after Manchester United have lost three games in a row. The Portuguese manager has said that it is the players that are to be blame for the defeat as they are the ones making the mistakes on the pitch. 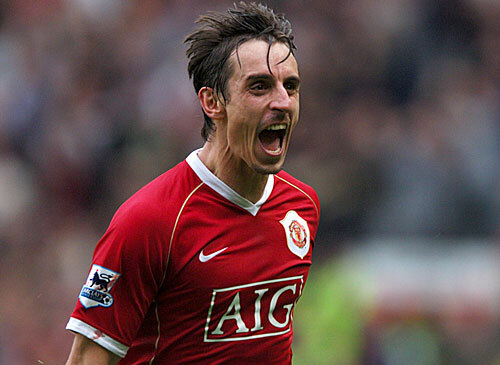 Gary Neville stated that he does not understand why there are leaks already happening so early in the season. He believes that the manager should be given time to change the team after the bad experience with David Moyes and Louis van Gaal. A recent article has suggested that some players are not happy with the way Jose Mourinho pressurized them, and they have been shocked by his hard approach in managing the team. Gary Neville believes that the Portuguese manager has his own principle when it comes to managing a team, and it is up to the players to adapt. Gary Neville has urged the Portuguese manager to monitor media information closely so as not to allow additional media pressure to build. The former player believes that Jose Mourinho is the manager that Manchester United need at the moment, and he will surely turn the team around during the season. He has urged fans to stay behind the team and to support the players irrespective of what happen. He is confident that Manchester United will come out strongly and will be able to challenge for the title this season. Roy Hodgson has confirmed that his assistance Gary Neville and Ray Lewington will also step down from their respective positions in charge of the England national team with immediate effect. They follow in the footsteps of Hodgson, who announced his resignation as the head coach of the England national team with immediate effect. The former Liverpool manager announced his exit from the national team after a very poor Euro 2016. England were hoping to at least reach the quarter-finals of the competition and it would have kept Hodgson in the job. However, they suffered yet another humiliation at a major tournament but this time at the hands of minnows Iceland, who engineered a spectacular 2-1 victory in the round of last 16. Hodgson has now been in charge of the national team for the last three major international tournaments. Only the Euro 2012 offers some joy for the manager in terms of his CV. 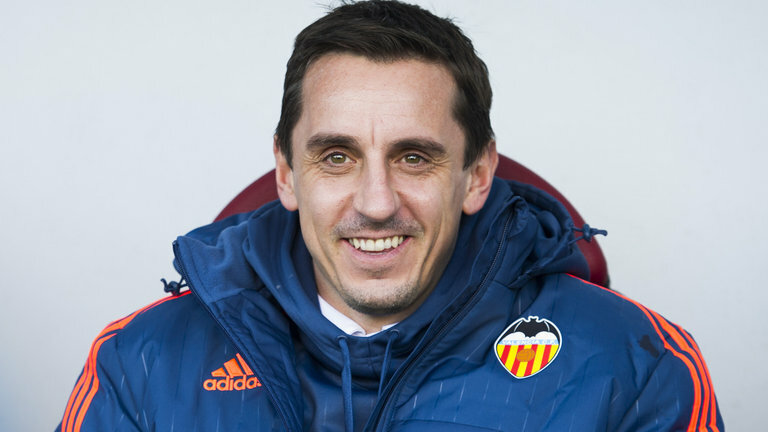 Gary Neville recently received the sack from his full-time managerial position at Valencia after having lasted less than six months at the club. He has now exited the national team with immediate effect and his next move still remains unclear. The former Manchester United right back learn from one of the best in the business, but he has struggled to apply at the start of his managerial career.”Ray and Gary have asked me to speak on their behalf.They came with me as part of my coaching team and they will leave with me. I would like to thank all the supporters, staff, the FA and the fans.It has been a fantastic journey and one that I will look back on the four years with pride. I want to thank the media for the support you have given me,” said Hodgson after announcing his resignation. Current assistant manager of the English national team, Gary Neville, is set to return to his old job when the Euro 2016 ends. There are reports in the English camp that the former Manchester United star defender will accept Sky’s open-ended invitation to come back after the team’s involvement in Euro 2016 is over. Neville left the football station last season despite having the reputation as the game’s best analyst to try his hand at management with Valencia. In Spain, he had a terrible stay as he could only lead the team to only 10 victories out of 28 games in a four-month spell before his sacking. There were lots of rumours but he has kept it aside, focusing on the tournament. He faced his part-time role with England since then along with his varied business interests that include co-ownership of non-League Salford and Hotel Football next door to Old Trafford. But the reports now reveal that the revered Pundit will take back his old job with Sky, and that the station would welcome him with open hands. He is set to join up with Jamie Carragher on Monday Night Football, on which their dissection of the weekend’s Premier League games took football punditry to new heights. However, with Ed Chamberlin going to ITV, Neville would be working with a new presenter in Dave Jones. After the disappointing game with Slovakia, the coach gave the team some downtime. Neville was pictured cycling around the city. Other players were pictured relaxing during the two day short break. England will face Iceland in the next round of games, according to the pairings from UEFA. Iceland finished in fifth place in group F, just behind group leaders on same five points, Hungary. Former Manchester United, Gary Neville joined others at the James Bay charity dinner. The whole England squad were thrilled by renditions at the event held at St Albans. Gary Neville joined Wayne Rooney as both of them thrilled the audience. The 30-year-old England skipper belted out a rendition of Bay’s top 10 hit Hold Back the River while the Three Lions assistant boss played the guitar. The audience was pictured laughing hysterically at the event organized by the England Footballers Foundation (EFF) event. The EFF was set up in 2007 to allow England internationals to donate their match fees to charitable causes, with The Bobby Moore Fund for Cancer Research UK, Help for Heroes, and The PFA’s charitable initiatives the main beneficiaries. The entire England men national squad attended with other invited guests, notable amongst them is Brazilian former world footballer of the year, Pele. The legend was pictured taking selfies with the members of the team. Rooney scored a goal in the international friendly played on Friday. The goal was his 52nd as he scored coming off the bench as The Three Lions won another of their pre euro 2016 warm up games. Marcus Rashford showed his goal scoring ability when he scored via a fine effort early in the game. Rooney doubled the lead with his strike from the edge of the area, after the first half had ended with the 1-0 lead from Rashford. Manager Roy Hodgson will cut two players of the provisional list in a bid to have a final 23-man team to play at the continental tournament. Doubts remain over the fitness of Daniel Sturridge due to his injury concerns. England will play Portugal in their final warm-up match at Wembley on Thursday prior to their scheduled flight to France.